I'm using Max On Line at home and I must say I have no problems since day one, though during peak hours the line tend to be a little slower, but since many of the other users have switched to Fibre, mine cable seemed to be pretty alright. My whole family seemed to have switched to Max On Line mainly because of the Cable TV (SCV) and the bundled discounts with the mobile phone line. We have been enjoying the bundled discounts complete with a free home phone line which I find is not so good in terms of clarity as compared to the good old and reliable Singtel land lines. When I faced any problems, the 24 hours hotline provides me with good and timely advises. Courteous and helpful I must say of the tele-service staff and we usually could more or less solve all problems via the tele-conversation. Theres only once the technician had to come and they react to me within 24 hours which is extremely efficient I must say. Max on Line - Very slow connection and felt short changed - though signed for 8mpbs but getting 1 - 2 mpbs most of the time - Ridiculous. Numerous complaints made but to no avail, it's still that slow! Very frustrating and I wondered why? Recently, many sign up during the IT Show at Suntec City as can be seen from the hugh turn-out, long queues and undue waiting time at their counters. Nearly 4 -5 hours wait there from one counter to another, thus, my last and final visit to such sign-up. Very exasperating experience!! For sure, this certainly aggravates the already slow connection due to the bottleneck - too many people surfing at the same time during peak hours resulting in jam and poor connection. I think Starhub has to buck up and further improve, upgrade or increase their bandwidth and facility to cater the increase traffic volume so as not to disappoint their loyal and new customers. Lastly, there is certainly much room for improvement on their above services and cut short queues at their next and future IT shows. http://forums.hardwarezone.com.sg/showthread.php?t=2105163 http://forums.hardwarezone.com.sg/showthread.php?t=2293500 http://forums.hardwarezone.com.sg/showthread.php?t=2241524 example: Well... if one person complains to Starhub, they won't bother about you. If a significant number of us complain as a group and if the group is large enough, maybe they will be scared? There are a few ways which we can go about it though Im not sure if every one of them is effective. The main thing is that we have to act together as a collective unit and the bigger the group the better. And in my opinion, they are acting unfairly in the sense that they cannot provide us a basic service as they have assured and instead, are still bounding us to a six-month contract and not allowing us to switch back to Singtel fixed line. True, we have signed a six-month contract with them but the contract is signed on the condition that they can offer us a residential phone service which in this case I think they have failed miserably. What do you all think? Maybe some of the measures are too extreme? But Im really really really pissed off with them. They keep giving standard answers without offering any help as you all know. 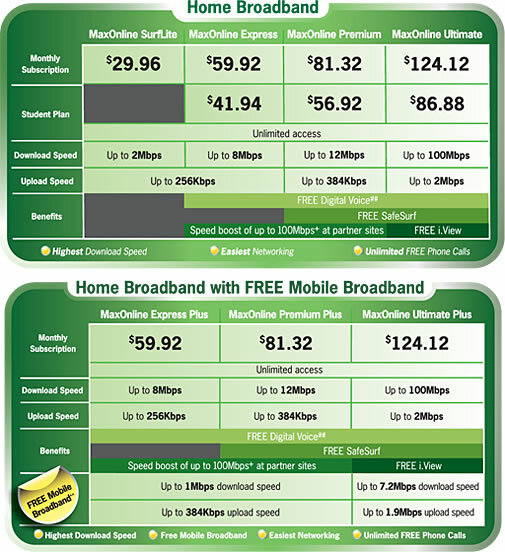 The least they could do is offer to compensate us by offering us rebates on our maxonline subscription or something. If we can't use the home line and we use our mobile line instead, wouldn't we end up paying more? And who's going to pay for that? Make Starhub is pay, losing customers, inc. me.